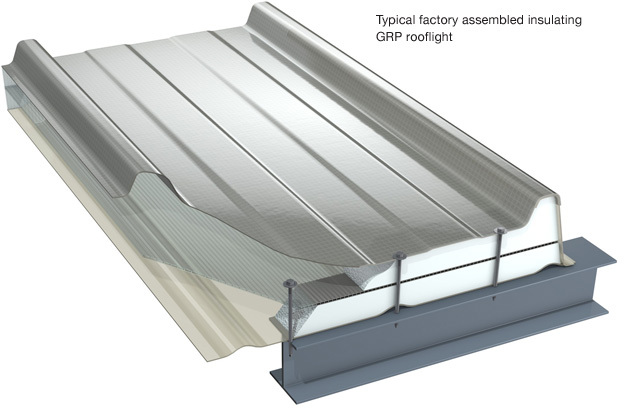 GRP sheet is the material of choice for factory and warehouse rooflights. These are available in a wide range of profiles to match steel or asbestos cement profiled sheets used in the construction of these types of buildings. GRP sheet provides high light transmission with excellent light diffusion characteristics, making GRP rooflights ideal for bringing natural light to working environments. GRP sheet is durable and provides high impact resistance. A wide range of grades and thicknesses are available from NARM member companies, available to suit virtually any application. All current roofing profiles can be matched, as well as most discontinued profiles for roof refurbishment. Chemical resistant grades for harsh environments are also available.